The Crows of Al-Sham Al-Islamic Brigade, fighting along the U.S.-supported Syrian opposition, dig a 426-feet-long tunnel, carry 40 tons of explosives and blow up buildings in Old Aleppo, Syria. Al-Jaafari, Syria’s permanent representative to the UN, speaks about the terrorists’ recent sabotage of water supply to the around 3 million residents of Aleppo. Al-Jaafari, Syria’s permanent representative to the UN, speaks about the draft UN resolution calling for the crisis in Syria to be referred to the International Criminal Court. Reportedly a member of an armed group in Homs, Syria, supported by the U.S. and West, delivers a message to the U.S. and Europe about their values and the ultimate goals of their fight in Syria. Anti-War activists of Los Angeles, Dr. Sylva Natalie Manoogian, Harout Bronozian and Ara K. Manoogian, present a proposal to Burbank City Council to form outreach program to educate Burbank residents about the true situation in the Syrian Crisis, distorted by the mainstream western media. 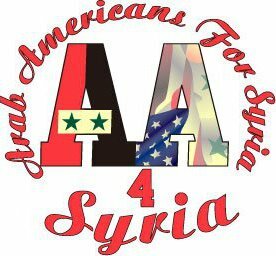 During a Q&A session at a town hall meeting, a marine calls for John McCain to be arrested and tried for treason for lying to the American people about the chemical attacks in Syria, adhering to the enemies of the United States, namely al-Qaeda, and advocating to start a war against Syria on fabricated grounds. Ara Manoogian, a human rights activist, reminded the Burbank City Council members, on May 13, 2014, of their failure to comment on his previous speech about the Syrian Crisis and urged them to take steps to raise awareness among the population about the real picture in the ongoing Middle-Eastern conflict and the U.S. support for terrorists in the ongoing fight. Mother Agnes-Mariam’s presentation about what really is going on Syria at the United Methodist Church Hall in Glendale, CA.